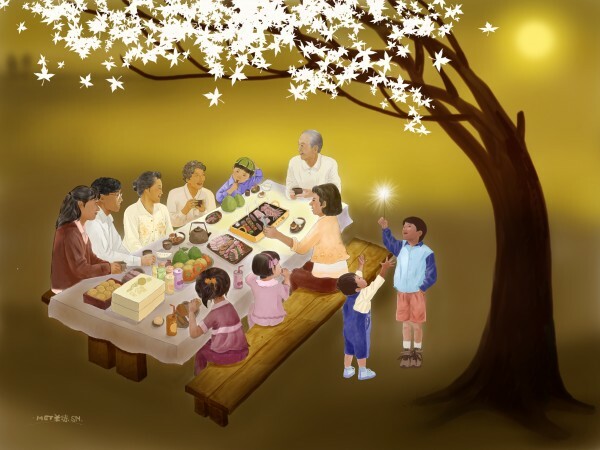 When September (meaning August in Lunar calendar) comes to the town, I look forward to seeing the first Moon cakes displayed on street with the most enthusiasm I have since they are my favorite food. The types of filling a Moon cake depend on region’s tradition, however, in general, ingredient of it includes: lotus seed paste, sweet bean paste, five kernel (walnuts, pumpkin seeds, watermelon seeds, peanuts, sesame seeds, and almonds), egg yolk, and jujube paste. Enjoying this kind of cake needs a cup of tea as an accumulative factor. Thailand tea, Jasmine tea or simply, Thai Nguyen tea is great to decrease the sweet of a piece of cake and make you taste the deeply true flavor. Moon cake has the origin in China, with the savor reserved through nations and the meaning resonated. 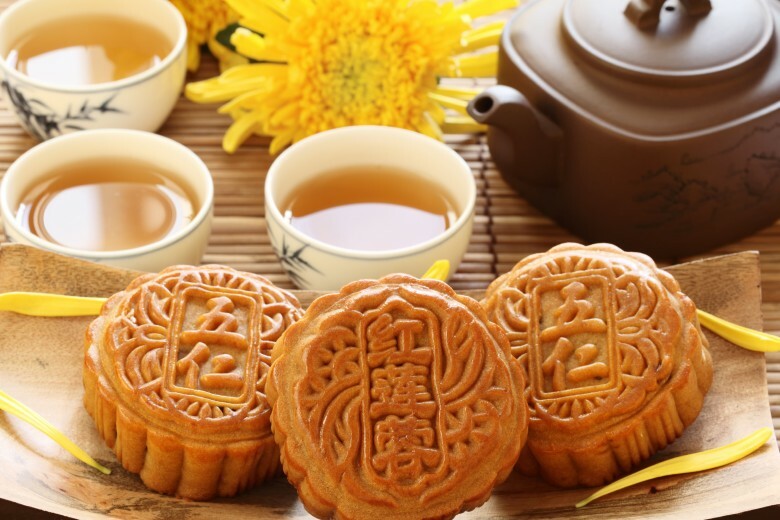 It is said that moon cake symbolized prosperity and reunion for the whole family, so it has to be enjoyed with family and friends to express love and give the best wishes to each other. Why does it become one of my beloved dishes? It’s not about the flavor changing time by time, not the appearance attracting people with the luxurious price, it’s about memory. My family is not a rich one so owning the a big amount boxes of Moon cakes in house like other familíe is not our custom. My parents usually buy a couple of traditional cake to incense and bring some taste of Mid-Autumn Festival into our house. In the cozy dinner, my mother (now it’s me) cuts the cake and gives pieces of them to family members. Although I often eat no more than two pieces, they seem to be the best, and it is better than ever when I, my brother, sister sit together to guess what are in the cakes. Besides, the interesting thing about Moon cakes is that my grandmother worked for Hanoi confectionery processing and manufacturing company for more than 5 years so I have a chance to hear a lot of stories about the time she was a worker there. Even though how hard to earn money at that time, and how poor we were, my grandmother still felt happy whenever thinking about the cakes her family ate were the ones she made. Now, any time I cut Moon cake and eat it with her, I not only feel the delicious taste but also the savor of time flying. At the end of the day, I could not to enjoy the Moon cake of this year’s Mid Autumn Festival with my family and friends, maybe in home or some special places.